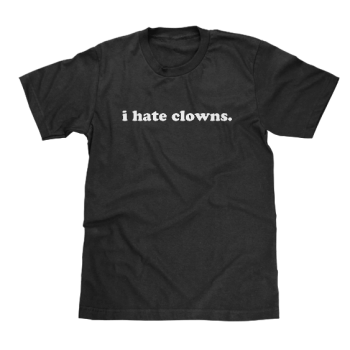 This cool “i hate clowns” logo sticker makes the perfect gift for the clownophobe in your life. 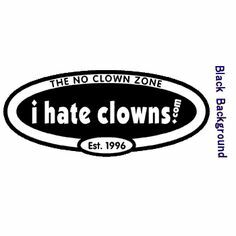 Now you can let the world know how you feel about clowns by sticking this professionally printed sticker anywhere you like. 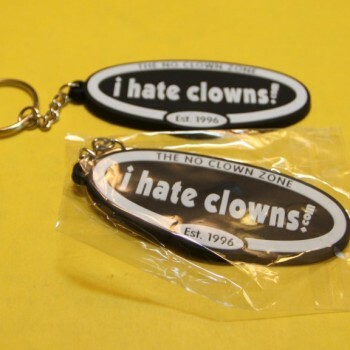 This item was suggested and voted on by the members of our “i hate clowns” Facebook page and features our anniversary edition logo celebrating over 20 years online!